Want to place your pizzeria on the success map? Well, the most important thing you need to consider, apart from getting a hassle free business loan, is the pizza oven. It is the “make or break” trick for your venture and if you get it right, you will have a smooth sailing and your pizzas will sell like hot cakes. But if you fumble selecting this important success trick, your venture might be riddled with problems and act as obstacle in the path of a successful pizzeria. 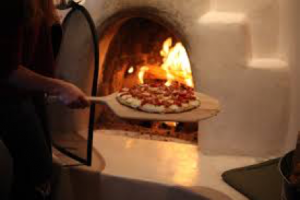 So, it is very important to understand the different aspects of a commercial pizza oven as it will help you pick a suitable piece, in accordance with your requirements. 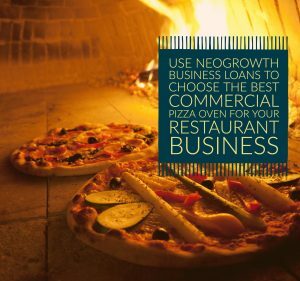 Speaking of hassle free business loan, the best place for getting a business loan is NeoGrowth Credit Pvt. Ltd. NeoGrowth believes in simplicity and while giving business loans, they give more importance to the business stability and performance rather than on the figures on the financial statements. Moreover, it allows flexi EMI, wherein you can pay more or less depending on your sales figure. And, the convenience of doorstep documentation, absence of penal charges for pre-or post-payment and modern technology makes it the best place for getting business loans. Commercial ovens come in four different styles and each type of oven has its own relevance, advantages and disadvantages. And before you buy, you must get a good idea about all of them. 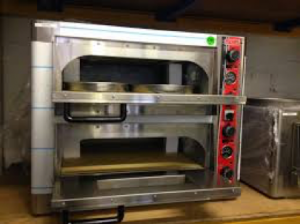 The commercial pizza ovens are broadly classified into four different categories- conveyor pizza ovens, convection pizza ovens, deck ovens and brick ovens. All of them are known to have some unique qualities. Still, the general consensus is that the traditional brick ovens provide the best quality pizzas with crispier crusts. But this does not mean that other ovens offer inferior quality pizzas, they too produce delicious pizzas. The only thing is that the other ovens need more skill to be handled perfectly so as to bake best pizzas. They are, comparatively, more sophisticated and thus, have to be handled with more precision. 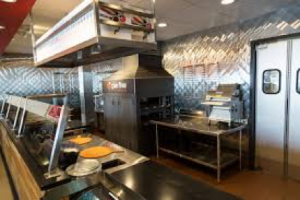 So, here is taking a detailed look at the different commercial pizza ovens. These traditional ovens are highly prized for offering finely baked pizzas. They are made up of bricks and other binding material. Skilled labor is needed to construct them and they also require a fair amount of space, depending on their size. 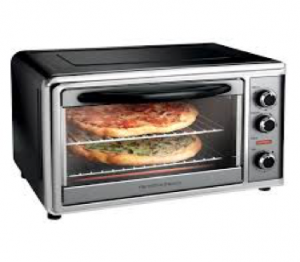 Deck ovens are sturdy commercial pizza ovens that have racks inside. These ovens offer good quality pizzas and are quite versatile which means they can fit in with diverse requirements of pizzerias. Cost-effective as they last longer and make for sound investment. Sturdy as they do not contain moving parts and thus, there is very negligible chance of breakage. Modern style commercial ovens, the convection ovens are quite space-savvy and go well with ventures with low production output. They are made up of fine material and are quite sophisticated to look at. The handling is also easy. Most sophisticated and feature-rich, the conveyor ovens come with a continuous cooking platform and churn out pizzas at a fast rate. They need large space to operate and are quite fuel-efficient. Every commercial oven is special in its own way and all have some plus and minus points. What is right for you depend on your production’s needs, size of your pizzeria, kind of pizzas you want to deal in and your budget. And if you want to make the most of the available options, you must do a thorough research on the different brands that fit your requirement. All commercial ovens are available with gas and electric plugins. And thus, it is your choice, which one to pick. What is more, the countertop models are also available in each category and if you are looking to save space, they are your best bet.